WOW . . . . THAT IS WHAT YOU WILL THINK WHEN YOU SEE THIS GORGEOUS / / LOW MILEAGE / / LOADED UP / / BMW X5 AWD !!! DRIVEN ONLY 7,000 MILES PER YEAR THIS BABY IS BARELY BROKEN IN . 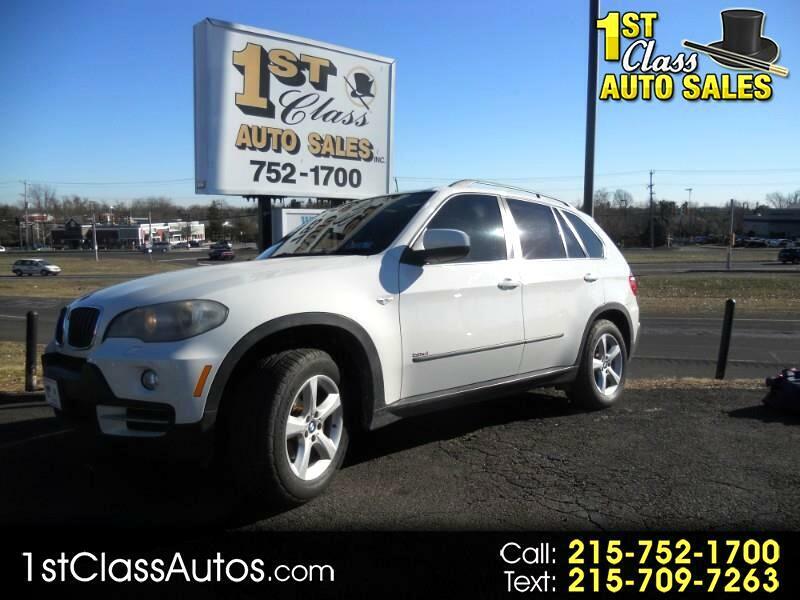 COME CHECK OUT THIS SHARP SPORT UTILITY WITH ALL THE GOODIES ONE WOULD EXPECT IN A BEAMER . . . HEATED-POWER LEATHER SEATS . . . POWER PANORAMIC SUN-MOON ROOF . . . 6 DISC CD PLAYER . . . MAG WHEELS . . . POWER THIS AND POWER THAT . . . . NAVIGATION . . . YOU GET THE PICTURE THIS X5 HAS IT ALL WITH XXXXTRA LOW MILES AND A FREE WARRANTY TOO !! !